It’s panto time again! 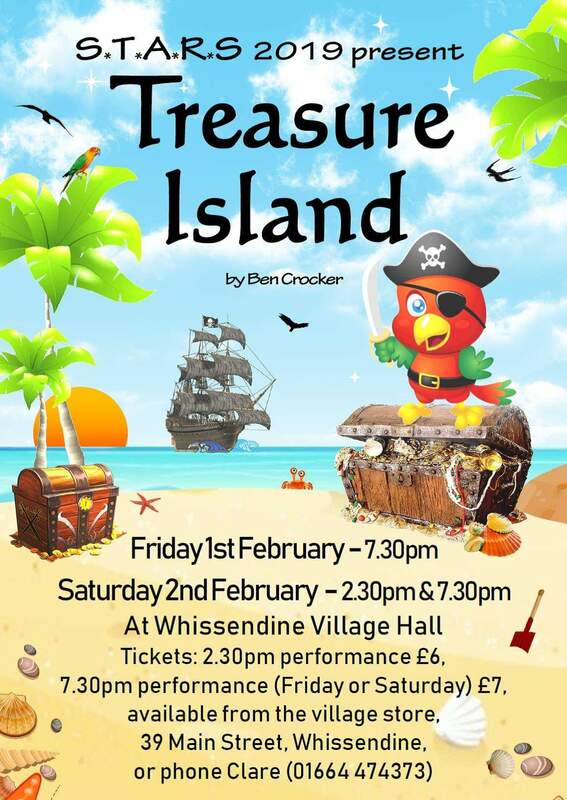 This year Whissendine STARS will be presenting Treasure Island at the Village Hall on 3 performances over the 1st and 2nd February. Tickets are available from the Village shop, or phone Clare on 01664 474373.